Tech Tackles Cancer has chosen three charities who help cancer patients across all stages of the illnesss, from working toward scientific and technological break throughs to cure it, as well as patient and life services to help families in need. St. Baldrick’s is the leading fundraiser for childhood cancer research. Worldwide, 175,000 children are diagnosed with cancer each year. And in the U.S., more children die of childhood cancer than any other disease—more than AIDS, asthma, cystic fibrosis, congenital anomalies and diabetes combined. St. Baldrick's Foundation is a volunteer-powered charity committed to funding the most promising research to find cures for childhood cancers and give survivors long, healthy lives. Kids are special, and at St. Baldrick's, we treat them that way. Kids are treated different in almost every aspect of daily life. St. Baldrick's is funding research that takes a different approach to therapies, to give them a healthier, longer life beyond the disease. Tech Tackles Cancer will support research on bioinformatics and big data in the collection and analyzing of data to speed investigators to discovery. One Mission is a pediatric cancer charity that does whatever it takes to get kids through cancer treatment. One Mission programs make living in the hospital less lonely and stressful, bring back joy in a time of fear and uncertainty, and give kids and their loved ones the support they need to get through the emotional and financial challenges of treatment. All of the programs we fund directly benefit children and adolescents diagnosed with cancer, the families who support them, and the medical community who compassionately cares for them. These programs and services rely exclusively on philanthropic support as they are not reimbursable through insurance or eligible for traditional grant funding. Smile Makers: Programs are focused on bringing joy and happiness to pediatric cancer patients and their families while providing them with some much-needed relief from the daily stress and hardship of cancer. Some examples include; Dec My Room, Cinema Saturdays, and even Unicorn Day. These are all programs that allow kids to have fun and just be kids! Financial Relief: Programs help to ease the financial burden of pediatric cancer on families so they can focus on what’s important - helping their child fight cancer. Assistance with parking is one of the single biggest needs, and One Mission is able to provide parking passes to each family. Boston Children’s Hospital, the primary pediatric teaching affiliate of Harvard Medical School, is home to the world’s largest research enterprise based at a pediatric medical center. Its discoveries have benefited both children and adults since 1869. Today, more than 3,000 scientists, including 10 members of the National Academy of Sciences, 18 members of the National Academy of Medicine and 12 Howard Hughes Medical Investigators comprise Boston Children’s research community. 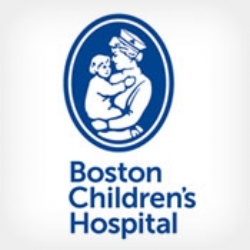 Founded as a 20-bed hospital for children, Boston Children’s is now a 415-bed comprehensive center for pediatric and adolescent health care. Surgical Preplanning Visualizations: Since 2001, Boston Children’s Hospital Simulator Program (SIMPeds) has focused on perfecting an inextricable link between preparedness and high quality, high volume, pediatric care. Intended as a quality improvement resource, preparation and testing system. The SIMPeds work is intended to apply state of the art experiential techniques to optimize human-to-human and human-to-technology relationships to reduce risk, fear and anxiety – creating a superior quality experiences and outcomes in healthcare.